A conversation with your team is all it takes to inspire great ideas. Bring these ideas to life immediately with Tasks. Bringing your team on 'Board'. Create boards to manage work effectively. Use sections to break plans down into simple, actionable units. For example, if your team is building a new website, create sections for each component, like content, design, and code. Add work that needs to be done as tasks under each section. A centralized space to manage your work means you'll stay in control. Your team's work, at a glance. Get an overall perspective of your project with Kanban view. Sections on your board can be reordered, so you'll always see the most important ones first. 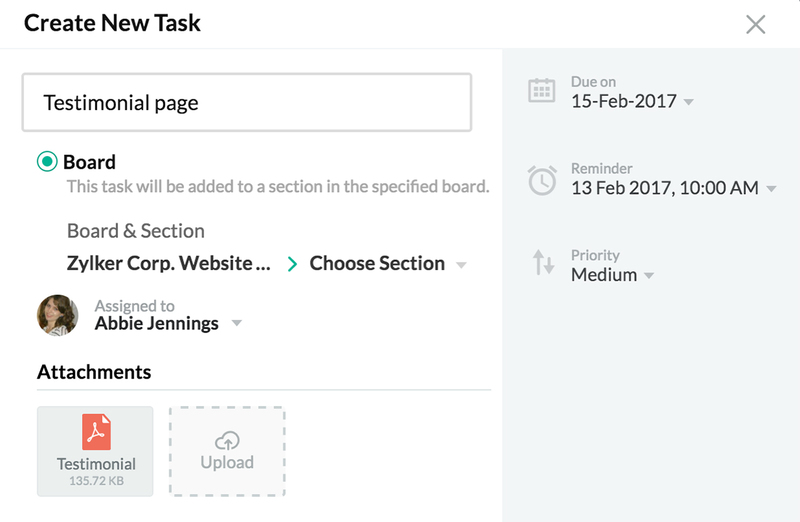 Move tasks within and between sections with a simple drag-and-drop action, and color-code your sections so they stand out. Assign the right people to do the right job, set priority levels for tasks, and track the progress of work, so you and your team can keep the focus on what's important. Know a task inside out. Every task has a detailed view so you always know when a task is due, its status, who created the task, and to whom it has been assigned. 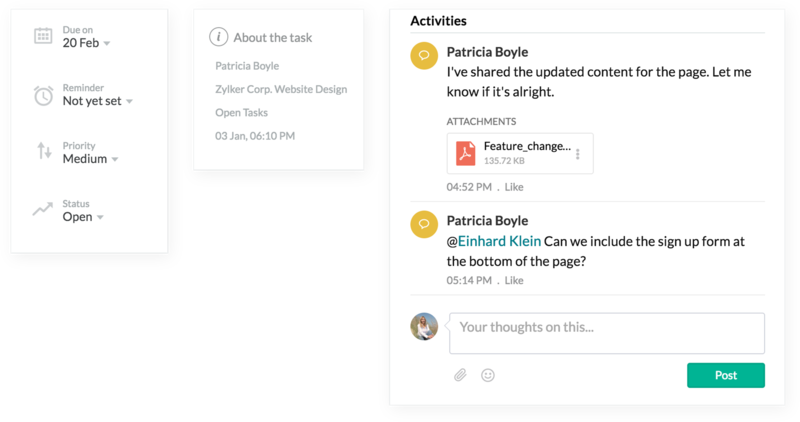 Add files to provide additional information, and @mention colleagues to start a task-related discussion. Every change made to the task is presented in the form of a timeline, so you'll always get the whole story. Translate ideas into team work.